Jordan As-You-Go has been released in several colorways since its debut earlier this year, making waves everytime a new colorway arrives. This month, another one is set to hit the market that is also expected to get a lot of attention. This lifestyle-slanted basketball kick from Jordan Brand is set to come out in Black/White-Varsity Red colorway this May, which can be considered as the “Chicago” edition of the sneaker for it features the team colors of the Bulls. 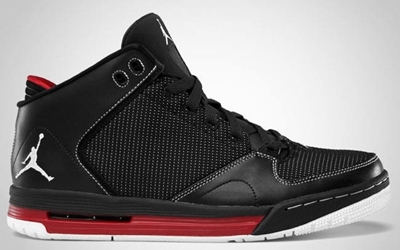 The silhouette has a black upper part, white Jumpman logo, and varsity red touches on the midsole. This one is expected to be a hit. Watch out for it!